Ben Berden. He rides when others run. He glides over barriers while others stumble. He attacks from the drops when others sit in and watch. He podiums while others DNF. He is one of the most exciting and dynamic characters in cyclocross. This is his bike. The USGP podium proven frame continues to use our Raleigh exclusive Direct Connect carbon frame. The RXC is not just a high modulus carbon frame. The layup is a blend of high modulus fibers that is using the right carbon in the right place. Our CDS plates allow you to run both electrical and mechanical cable systems. All the RX bikes got lighter for 2014! The RXC Pro Disc continues to use our Raleigh exclusive Direct Connect High Modulus carbon frame. The layup for our RXC frames is a blend of high modulus fibers. More important than merely high grades of carbon, we use the right carbon in the right place. Cable routing is compatible with electrical and mechanical cable systems courtesy of our CDS plates. The RXC Disc features the same top level frame at a more affordable price point. The RX alloy frames are the lightest and highest performance aluminum cross frames we have made to date. The AL-6061 frames have a 1.5˝ tapered headtube and a tapered butted seattube for increased torsional stiffness. Our new ˝Flat Oval˝ double butted and formed downtube in combination with our Flat Oval seatstays increase torsional stiffness while offering great vertical compliance. Ready-to-race alloy frames never looked so good. 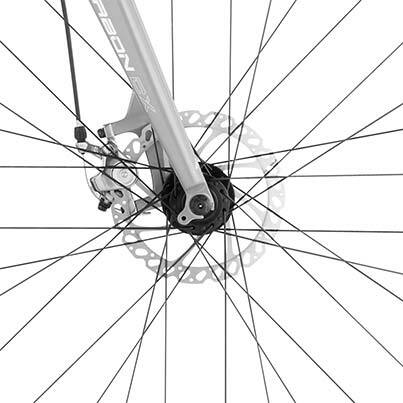 All our Cross bikes get new wheels in 2014. The RXC Pro Disc and RXC Disc have light and race proven American Classic wheels. The RX 2.0 and RX 1.0 have all new, lighter and stiffer wheels with better hubs and wider rims. The Impulse is a disc specific 23mm wide rim and the XP Elite is a canti specific 23mm wide rim. The wider rim cross section spreads the tread contact patch and will allow riders to run lower tire pressure with less tire roll. This creates a larger contact patch and therefore allows riders to corner faster with more confidence. Our new wheels are race-ready as they are perfectly paired with Clement or Schwalbe tires. RX 2.0 hubs are Novatec sealed bearing hubs ready for any cross conditions you can throw at them. The RX 1.0 has new Formula hubs with Smooth Bearing Technology and CNC machined dust caps with improved sealing. The RXC Pro Disc will keep its ENVE Composites fork. The RXC Disc features an all new Raleigh Carbon monocoque fork with 1.5" taper and Post-Mount tabs. The RX 2.0 has a new Raleigh carbon fork with tapered steerer and Post- Mount tabs. 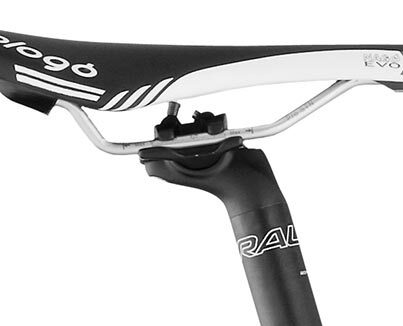 The RX 1.0 features a new Raleigh carbon fork with tapered steerer. 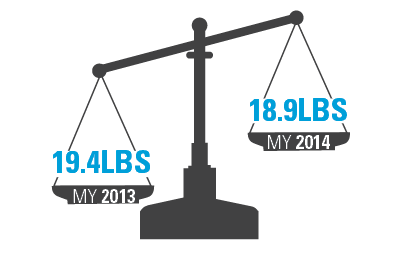 As you could probably guess, all Raleigh forks are lighter in 2014. For 2014 we redesigned the Raleigh seatpost. The new post has 20mm offset which increased from 8mm. The most notable new feature is that all bikes will have a dual-bolt seatpost. No matter how hard a rider remounts the bike, the saddle will never tilt up or down. 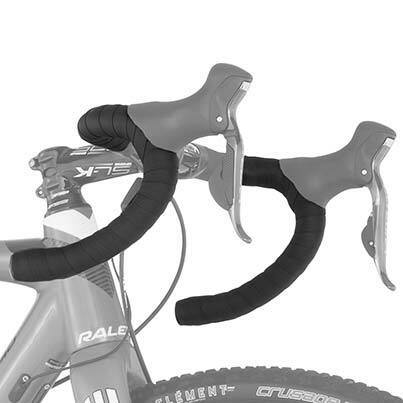 It may seem like a small detail, but all bikes feature a new cross-specific handle bar tape. Last season we had several riders test the new CX tape and the rubbery material provided outstanding grip in all conditions: wet, dry, cold, hot or muddy. The soft backing material improves shock absorption for dry and bumpy courses.